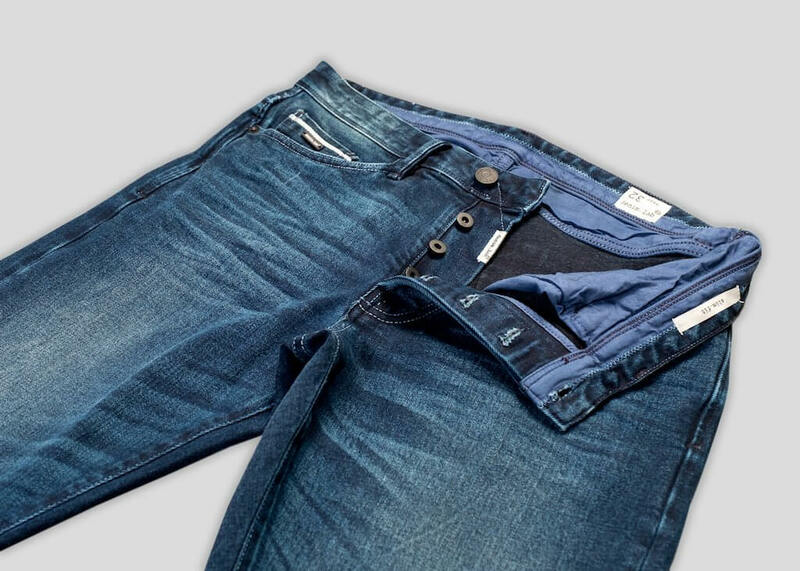 SeriousDenim, one of the newest online denim stores, is established and managed by Rob. It is a small collection of some of the world’s finest denim brands and focused on the European market. When we first noticed SeriousDenim we were wondering what kind of denim head just opened a new web store displaying some of our favorite denim brands. So, we reached out to mister Rob and had our first coffee together during the Amsterdam Denim Days. After many exciting conversations with Rob, we thought the time had come for an interview with Robin Denim. We spoke about Rob’s vision on denim and the industry as a retailer. 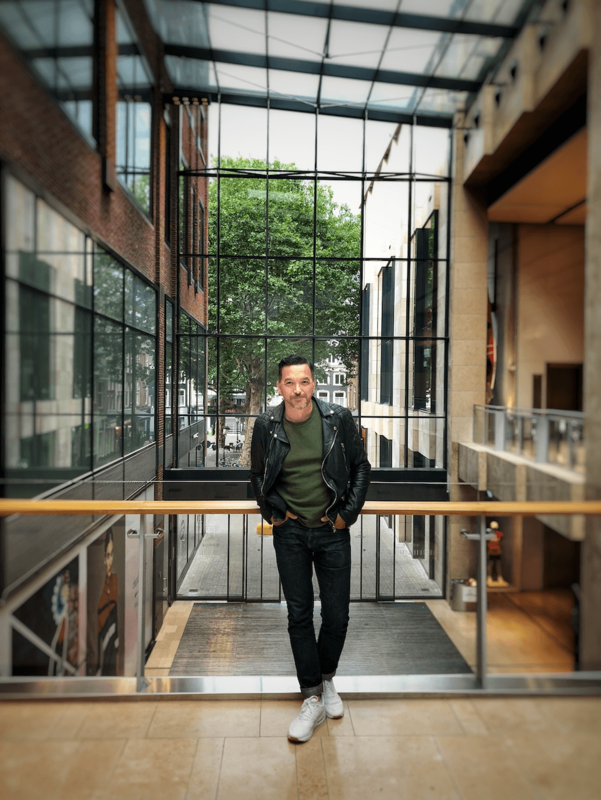 ‘How is he trying to differentiate his store from other web stores?’ and ‘what are his most important values when it comes to denim?’ are just two questions we asked Rob. Hopefully, you will enjoy the conversation as much as we did, and, after reading the interview, make sure to visit the web store! Robin Denim: Hi Rob, can you please start by introducing yourself? Rob, SeriousDenim: Hi guys, my name is Rob, I live in the Netherlands, and I am 54 years old. I have been working in a completely different world than the denim scene for decades. But when I was totally fed up with my job, I decided to broaden my horizon and to start chasing my dreams. I wanted to go back to my roots, back to where it all began, back to selling jeans! Robin Denim: Nice to meet you Rob. 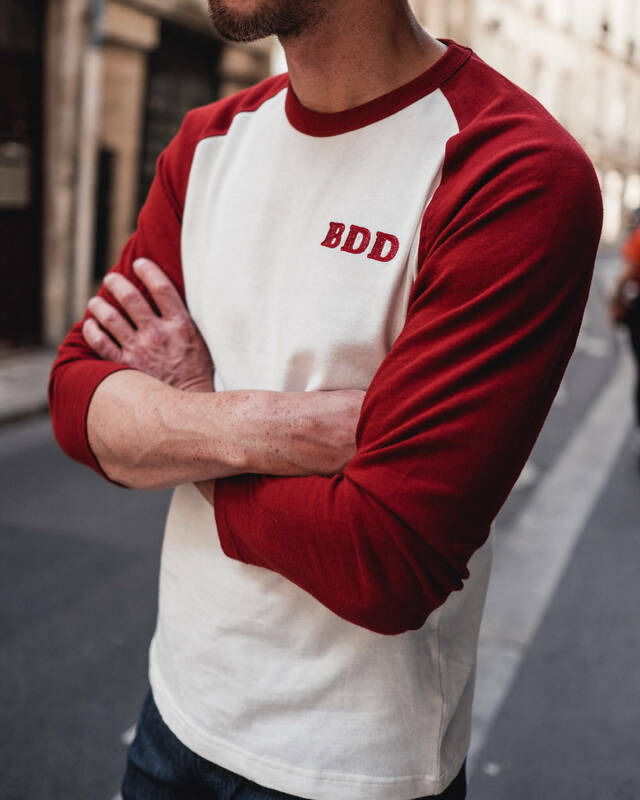 So, where does the initial inspiration to start your store come from? 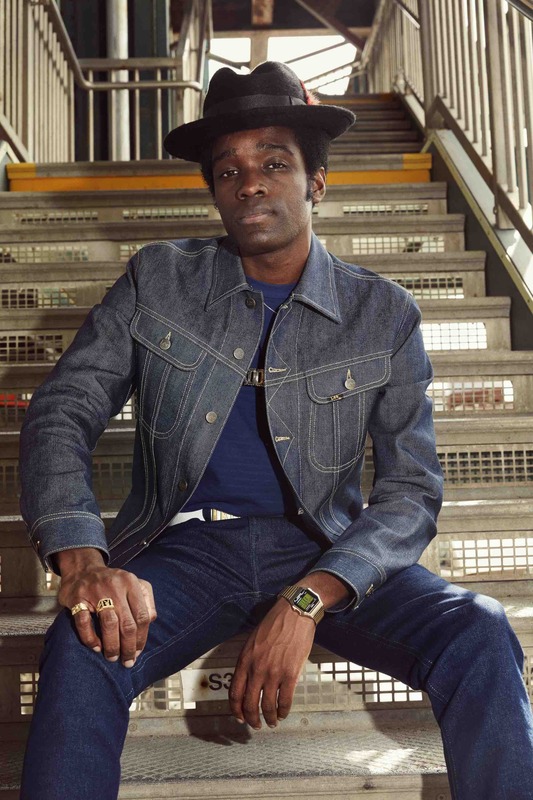 Rob, SeriousDenim: The inspiration arose from a desire and a deep passion for denim. I always had a love for high-quality clothing, and especially denim. I was born and raised by parents with a successful denim store in the 70s and 80s, so it isn’t surprising that I used to eat denim for breakfast! Because it is so much easier to start an online store than a physical store, I chose to start a web store. Talking about costs and salaries, a physical store is a significant investment, and quite a risk these days. Also, since I am a perfectionist when it comes to clothing, it won’t be an easy manager for the employees working at the store. With SeriousDenim, I decided to keep it small and simple. I only sell the brands I love. However, most importantly, and hopefully also for my customers, it has to be fun, because when work is a hobby, you don’t have to work ever again. Robin Denim: Walking through your web store we see lots of raw denim, does the collection reflects your preferences/wardrobe? Rob, SeriousDenim: Completely! 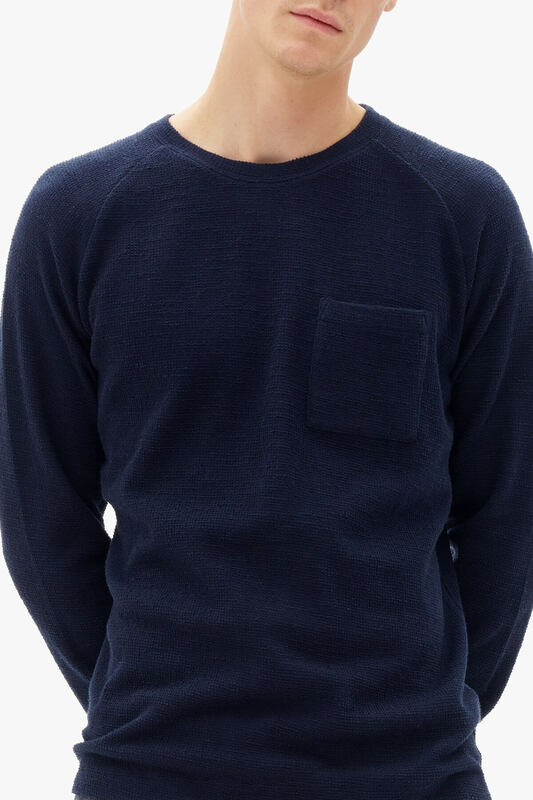 Every single item we are selling at SeriousDenim is chosen by myself, and I am only buying what I would like to wear myself. Especially the raw denim items are the ones I would want to wear myself because the evolution that can be achieved is magical. Wearing a pair of raw’s is like keeping up a diary because it fully reflects your life. Every adventure and every precious minute will be captured by the jeans you are wearing. Before I started offering Butts and Shoulders, I was invited to their workshop in the south of the Netherlands. I was instantly hooked by their enthusiasm and passion for traditional shoemaking. Their attention to details, the high-quality and sustainable materials, and their respectful philosophy for taking care of peoples and animals are just as admirable. The way Butts and Shoulders are doing business is an example from which many brands can learn off. So, for me as a shoe freak, it was love at first sight. Robin Denim: About the collection, how do you select the brands and garments? Rob, SeriousDenim: Like I already said, I buy what I would like to wear myself. Call me a hobbyist, but how can I sell a pair of jeans I don’t like myself. I don’t want to be the smooth salesmen who can sell a brick for a million. I want to serve people who are looking for high-quality garments, with high-quality garments! Of course, the advice is essential, and therefore I keep in close contact with many fans from the scene. But, I will always stick to my style! Since I have opened the store, loads of brands are contacting me asking if I would like to display their brands at SeriousDenim. If I think there will be a match, we will have a conversation, and I would like to see the samples. But, if the philosophy of the brand, or the story of the production or sustainability doesn’t ‘feel’ right, I will kindly refuse the offer. Of course, I always need to take the financial picture into account. So, when there is a brand I would like to sell, but there are high costs, like for example import duties, I need to refuse the offer. Besides, I prefer to select every item myself, even if I need to travel a lot. So basically, buying is a matter of sense. Robin Denim: What brands do you carry, and why did you select those brands? Rob, SeriousDenim: Currently we have three carefully selected denim brands in our collection, namely: Benzak, Denim.lab, and Nudie Jeans. We chose those brands for their high quality and clean finish. 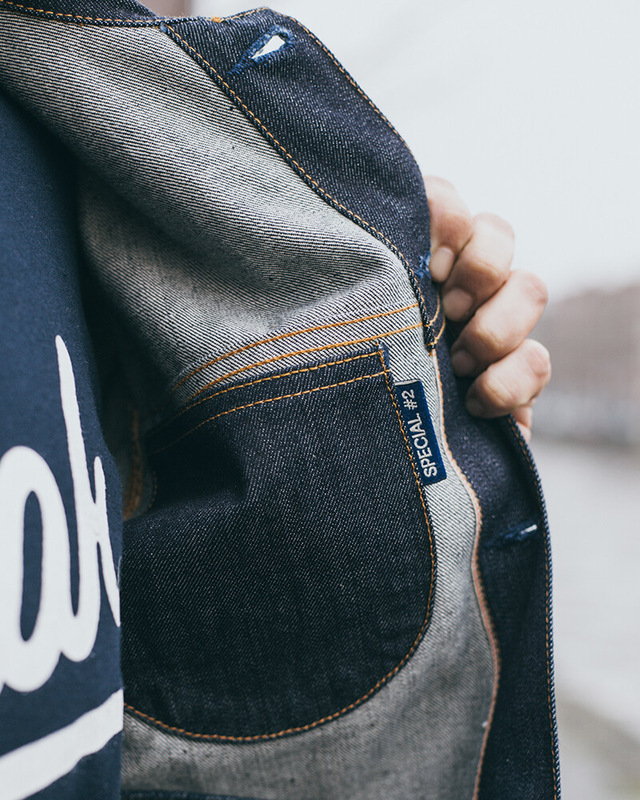 Benzak and Denim.lab are two Dutch brands for whom I have much respect. Their jeans can be worn casual as well as more dressed. Their style is contemporary, yet based on the heritage of denim. I am proudly selling their collections and can recommend these brands to everyone looking for a pair of jeans. 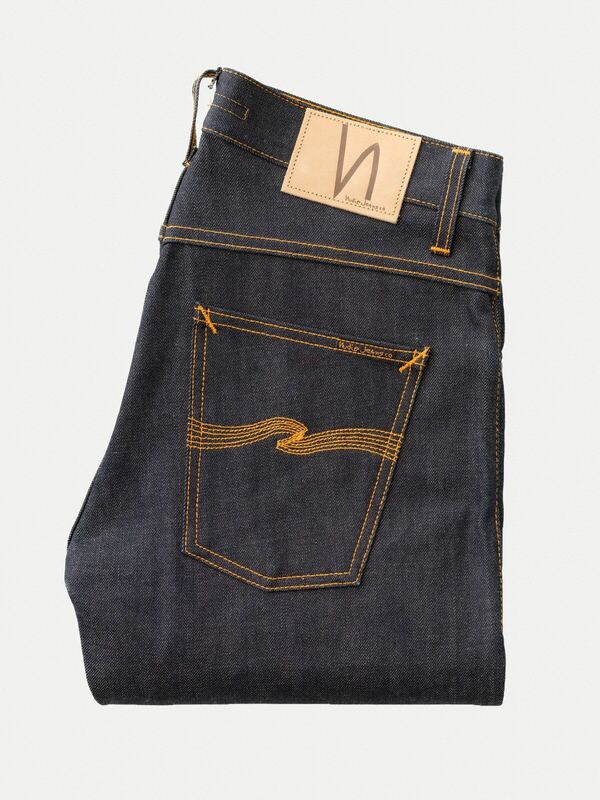 Nudie Jeans, on the other hand, is a popular brand in Europe, with an extensive collection and lots of choices between good fitting jeans. With their repair stations and the use of organic cotton for most of their items, Nudie Jeans fits seamlessly in our philosophy. Between all blue shades, we have the colorful socks of Heroes on Socks that will fit perfectly with all pairs of jeans. 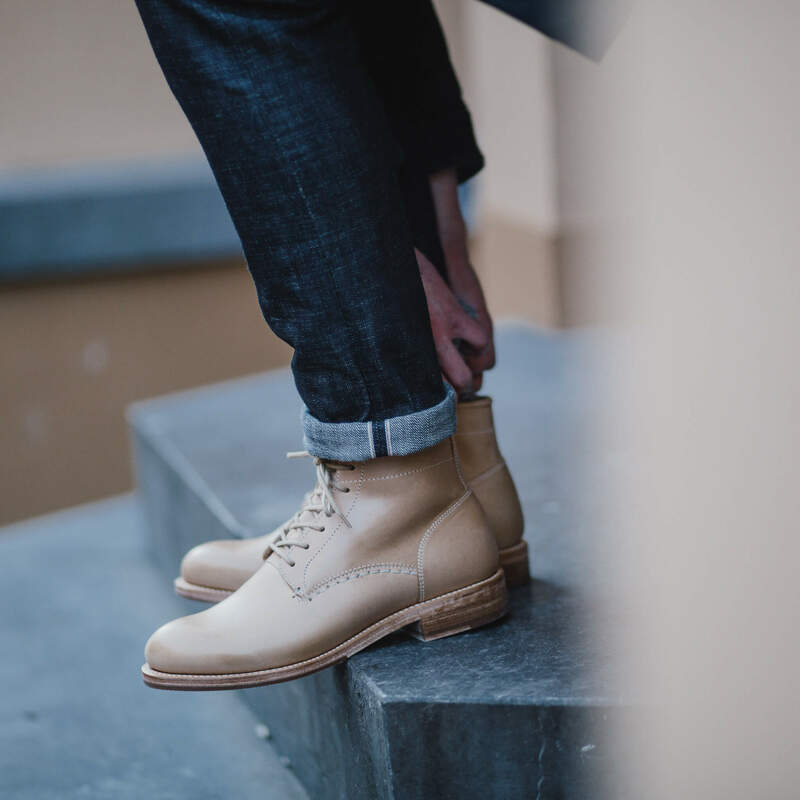 And, since an outfit is nothing without a good pair of boots, we proudly offering the handmade shoes of Butts and Shoulders. Their boots and sneakers are fantastic! They are so stylish, durable and timeless. Robin Denim: During an earlier conversation, you mentioned that you focus on having a sustainable collection. What is making a brand sustainable? Rob, SeriousDenim: First of all, it is vital for me to know where a pair of jeans is made. Before I decide whether I want to sell a pair of jeans, or not, I want to know how it’s made, and under what circumstances. For me, this is the most important factor when I am looking into a new brand. Secondly, I will a closer look at the materials, because this is making a pair of jeans sustainable (or not). 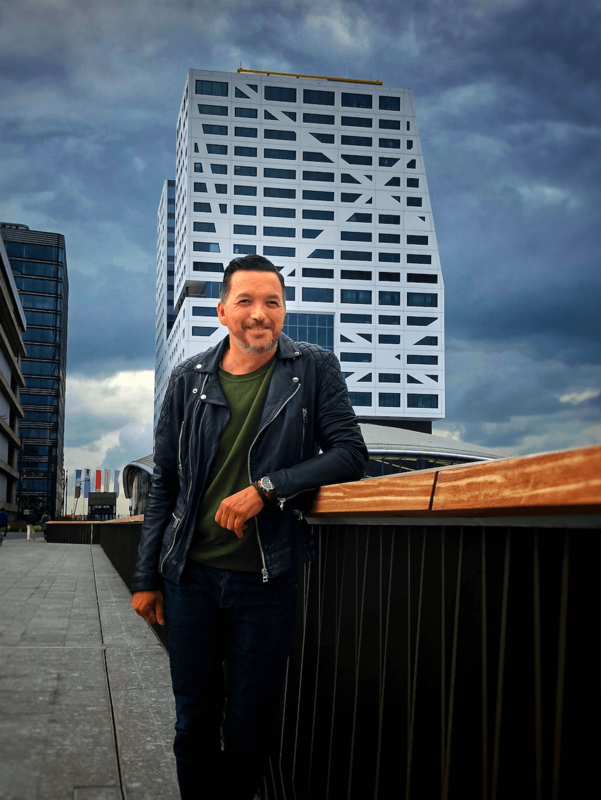 Robin Denim: Why is sustainability so important to you? Rob, SeriousDenim: As you might already know, the denim industry is one of the most polluting industries on earth. By using tons of water, and using many chemicals, the ecological footprint of the denim industry is substantial! In my opinion, this should be different, and since we have only one chance to do good, I take my responsibility as a retailer. I believe that everyone in the denim industry, from maker to consumer, is getting more conscious about the environment. By buying brands that are less of a burden for the environment, who pay their employees a fair wage, and by telling the stories to my customers, I hope to make a small difference. Robin Denim: Are there any new brands coming up in the foreseeable future? Rob, SeriousDenim: I am always on the lookout for new brands that fit in my philosophy, so yes, there might come up some new brands soon. I have a weak spot for Dutch and European brands with their production in Europe. Firstly, because the wages for people that manufacture the jeans are so much better than in most Asian countries. Secondly, because most Dutch and European brands have a story to tell, and, to conclude because they are usually more transparent about their manufacturing processes. Robin Denim: There are so many web stores selling the same products as you do, how do you differentiate SeriousDenim from other stores? Rob, SeriousDenim: SeriousDenim isn’t brought to life for just selling jeans. There are already so many stores out there, so if this was the only reason, I could easily point you to another store. With SeriousDenim we want to change the game! 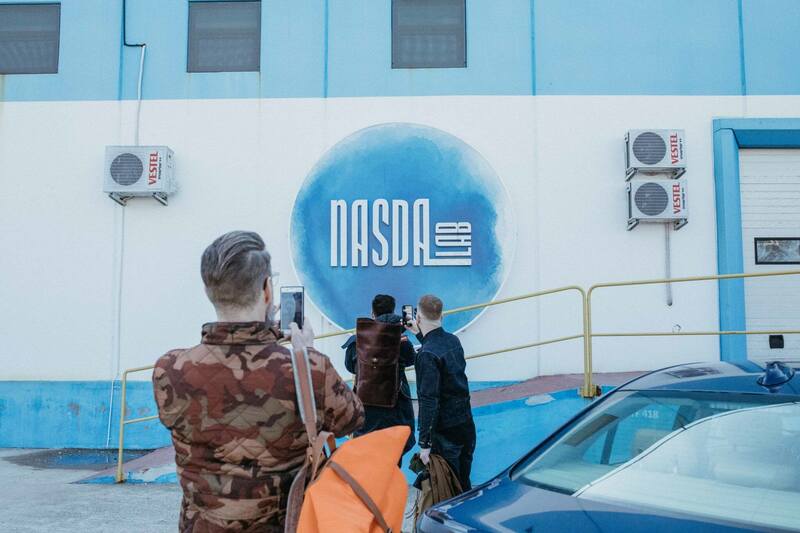 By telling the stories of the brands we are carrying, and providing a look into their production processes, we want to make our customers aware of their influence on a better world. Our slogan “Think green but wear blue”, isn’t just a slogan, it is our philosophy! 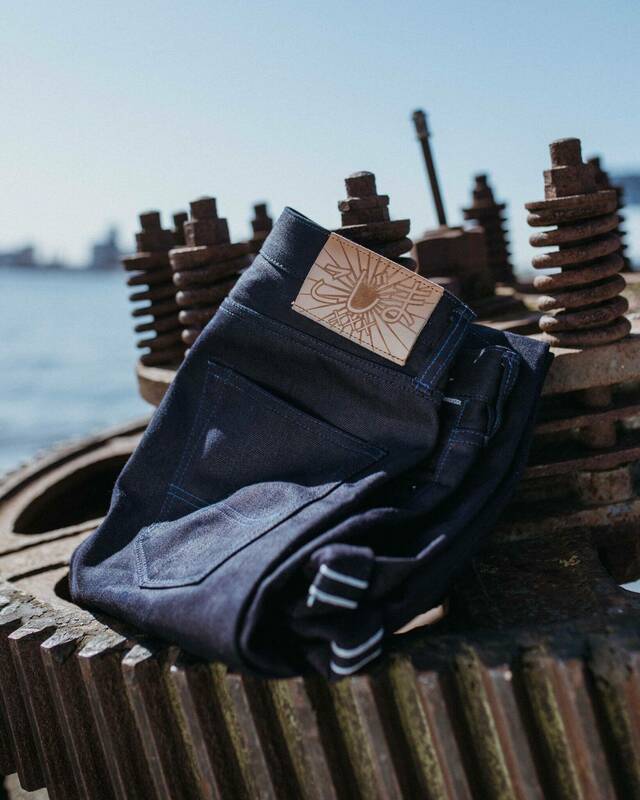 Robin Denim: Why should people buy their pair of jeans at SeriousDenim? Rob, SeriousDenim: Why people should buy their pair of jeans at SeriousDenim is a question that people can only answer for themselves, but I am completely transparent and honest about the garments we are selling. I have always had a drive for investigating where a product comes from, the level of quality, and under which circumstances it is made. To give a clear answer to your question; I sell fair (trade) products of an extremely high level of quality. Robin Denim: If I want to buy one complete outfit at Serious Denim, what pieces do you recommend? And why?